For those searching for senior service communities in Austin, Texas, you've come to the right place. There are senior organizations in Austin to provide help with daycare, help finding affordable senior housing or assisted living complexes, and providing resources that present learning opportunities and point people to places where they can connect with other seniors to socialize and enjoy retirement. You can learn more about the Eldercare staff, activities and schedule by visiting the Eldercare website. Austin Groups for the Elderly also offers a Caregiver Resources Center designed to support people with the role of caregiver. This group offers information, support groups and educational events such as seminars and conferences, all at no cost. The staff is equipped to help people locate appropriate housing and offers vast senior-related resources to aid in locating needed services ranging from government benefits to transportation. For more information visit Caregiver Resources Center online. Another service provided through Austin Groups for the Elderly is their learning center. This is a great place for seniors to learn computer skills. Classes offer one-on-one support and are geared to the participants' skill level. It's a natural way for seniors to obtain skills that put the world at their fingertips via the Internet. They'll learn to surf the Internet, shop and sell on Ebay, and how to email friends and family, as well as how to navigate Facebook. Classes are held at the Austin Computer Learning Center. Austin Parks and Recreation offers senior programs for people aged 50 and older. These activities open the door to social activities, and establish a real sense of community. Activities range from travel opportunities to picking up an old hobby or learning a new one. For those who need it, transportation can be arranged. The Village of Collinwood: Income restrictions apply, but the community is pet friendly and for seniors 55 and older. The Lodge at Merrilltown: One and two bedroom apartments have the following amenities in the community: onsite barber/beauty shop, library, craft room, free Internet, transportation and more. The Summit at Westlake Hills: Offers independent living with options available for personalized assisted living or skilled nursing care. 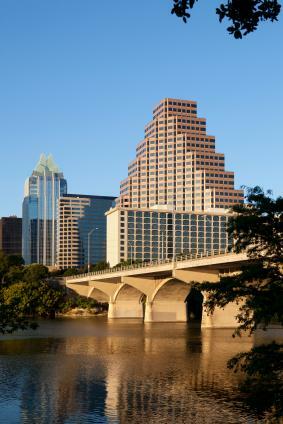 Austin, Texas is becoming a popular retirement community for a variety of reasons. The temperate winters are attractive to many, and spring and fall offer a change of seasons many look forward to. Summers are hot, but most of the year the pleasant weather is perfect for sitting on the patio, playing golf, catching an outdoor music show in the "live music capital of the world," or taking a hike. Austin is a senior-friendly city worth exploring as a retirement option, and the many service communities available in the region can make all of the realities of daily life run smoothly and efficiently.